Over the same weekend, CNN crafted its own lie to make Donald Trump Jr. look racist. Although fake news outlets like CNN are running fake headlines that read “Elizabeth Warren releases DNA test with ‘strong evidence’ of Native American ancestry,” the exact opposite is true. In fact, Warren’s DNA test only proves that her Native ancestry is usual-usual, no higher, and maybe even lower, than the average white American. 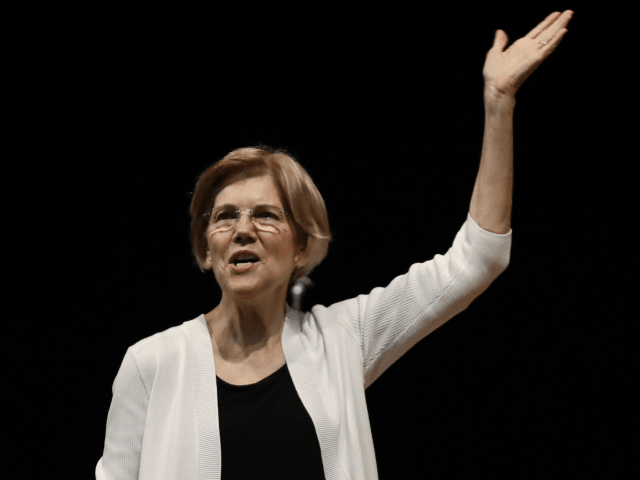 According to the test, Warren’s Indian genome might be between 1/64 and 1/1024, or 0.1 percent to 1.56 percent. The average white American is .18 American Indian, nearly double the low end of Warren’s estimate. Warren’s DNA was not even compared to samples of American Indian DNA. Rather, it was compared to samples from Mexico, Peru, and Colombia. This means that all Warren’s DNA test proved is that she might be 1/64 to 1/2024 Mexican, Peruvian, or Columbian — which again puts her well within the norm of the average white American. American Indian tribes refuse to participate in DNA testing for a number of reasons, including exploitation by white people using identity for mercenary reasons – which is exactly what Warren has done. Warren’s DNA test is so offensive to the Cherokee Nation that for the first time in the six year saga of this controversy, it weighed in on Monday to disavow and chastise Warren. Warren’s false claim she is Cherokee was debunked years ago. To defend her lies, Warren has said that she came to believe she was part Native due to the stories told to her by family members. Even this claim has been debunked. Some members of Warren’s own family strongly deny any talk in the family of Native ancestry. Too bad Warren didn’t inherit Granny Smith’s “honesty” genes. Warren never claimed she was part Native, nor did she claim she is as Native as the average white American, which is all this DNA test proved. Rather, Warren claimed she was an American Indian, specifically Cherokee or Delaware. For every year between 1986 and 1995, Warren identified herself as “Native American” in the Association of American Law Schools Directory of law professors. Warren told the University of Pennsylvania to change her ethnicity from “white” to “Native American” after taking a job as a law professor. At the beginning of her academic career, there is just no question Warren dined on a phony minority status based on the worst kind of cultural appropriation. Contemporaneous news reports and a marriage certificate appear to prove Warren’s parents were married in a church ceremony — so no dramatic elopement. Back in July, Trump offered to donate $1 million to a charity of Warren’s choice if a DNA test proved she was Indian. Well, her DNA test proved she is not American Indian, not even close, nowhere near enough to claim status as a minority, and certainly not enough to join an American Indian tribe. If Warren is Native, every average white person in America is Native. Warren should be attacked and mocked for living this lie for 30 years. Shame on her. The American Indian has lived through hundreds of years of hell to stay together and to hang on to their traditions. They have every right to be furious over this interloper, this imposter who leached on to them in order to cash in on a minority status. The media attack Trump as racist only because the media know how deadly this line of attack is to Warren’s political prospects. The media scream “racism” hoping it will make this controversy vanish, which is going to be fatal to Warren’s presidential aspiration. Trump is not mocking Indians, he is standing up for them by exposing a con woman engaging in the worst kind of identity theft. Outside of the late John McCain suspending his 2008 presidential campaign to save the economy, never in my decades of watching politics have I seen a serious presidential contender botch something like Warren did the roll out of this fiasco. To begin with, Warren did not solve this problem –she made it worse, she turned a huge spotlight on it, and not just the fact that she has lied for decades about her Native ancestry. The spotlight also exposes how ham-handed, clumsy, and unsteady she is. On Monday, as her DNA rollout began to blow up in her face, Warren lit herself on fire with a public meltdown on Twitter. All Monday proved is that Warren lacks the judgment and poise to run for president, much less take on Trump. Monday was the worst day of Warren’s 2020 presidential campaign, and if anyone loves her enough to be honest with her, it will be her last. Trump doesn’t just live in Warren’s head, he’s up there doing donuts in Air Force One while singing the Star Spangled Banner through a mouthful of cherry and strawberry Starbursts. She let Trump get to her, undo her — and now she has destroyed herself.